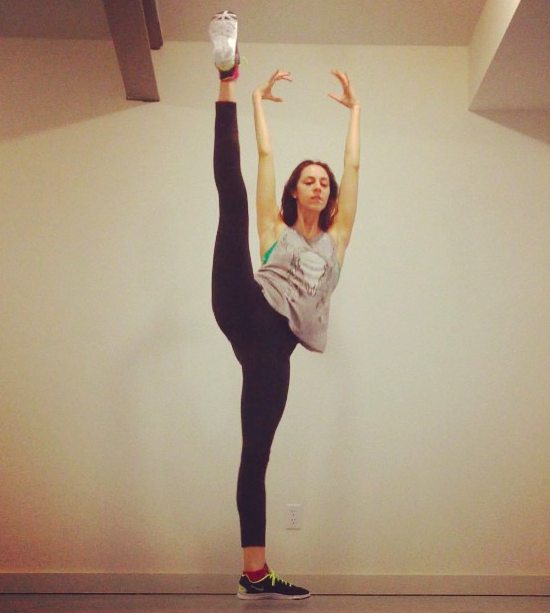 I may be a retired ballerina turned yoga instructor, but my roots are classical ballet. For a long time I tried to forget it, I tried to become a yogi, I tried to shed my past and my identity. I think 9 years after having performed my last ballet I’ve finally come to embrace it. It shaped me into the yoga instructor that I am today. It instilled discipline, form, and beauty of movement into my body and every now and then I catch myself in the mirror and I see the grace, the effortlessness, and the ease of movement that comes with all that I trained myself for and though I know yoga-wise I need to let go of that, I can’t help but crack a smile. For me, at this point in my life, I know it’s more important to appreciate my past, my body, and what it can do for me rather than striving to let go of attachment. That’s up next. First, time to make peace with myself and my choices and I really feel like I’m getting there. What are you still holding on to? What choices have you made in your life that keep coming up on your mat? Is there something you need to let go of, or rather, embrace the fact that you have already let it go?